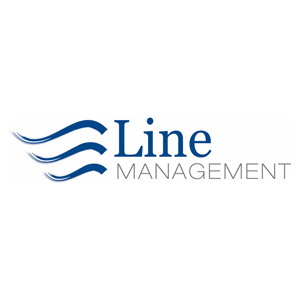 Line Management Services Limited (LMS), a subsidiary of Line Group Limited (the fiduciary arm of Hassans International Law Firm), is a leading company service provider that can package a complete range of private wealth and corporate management services using a client-tailored approach. LMS is one of Gibraltar´s leading authorities engaged in the incorporation and management of corporate vehicles, in Gibraltar as well as in over 27 other jurisdictions, for a worldwide client base. By combining proactive professionalism and multi-jurisdictional focus we are able to provide commitment and delivery to our clients. LMS work closely with Hassans International Law Firm, both in the establishment and management of client structures. Our administration teams relish new challenges, however complex or demanding and having senior lawyers with legal, structuring and regulatory expertise on hand is extremely practical, helping us provide a seamless, cost-effective complementary service. Due to the association LMS has with Hassans, LMS will be able to offer our clients, both Gibraltar and internationally based, a seamless full service for those that wish to list on the GSX. The Funds Team of Hassans comprises Gibraltar’s largest legal team dedicated to mutual funds work, and their combination with LMS for GSX listing purposes puts LMS in a unique position of being able to offer a full legal and advisory service to funds seeking a GSX listing. Line Group Limited, affiliated with Hassans, is a leading trust and company services provider and deals with a complete range of private wealth and corporate management services. It is one of Gibraltar´s leading authorities engaged in the formation of trusts and incorporation and management of corporate vehicles, in Gibraltar, as well as in 27 other jurisdictions, for a worldwide client base. Hassans was founded in 1939 and is the largest law firm in Gibraltar with 36 partners, over 55 other lawyers and 250 staff in total. Hassans is this year celebrating its 75th anniversary.